My hair, if left unattended can look a little flat, dull and lifeless. I get up for work at 6am every morning and the last thing I have time to do is give myself a perfect blow dry every morning, so I’ve had to resort to some ‘cheat’ techniques to give my hair a quick boost, without having to spend a lot of time. Just doing these few things completely transforms my hair in the morning, giving it that extra bounce and style. 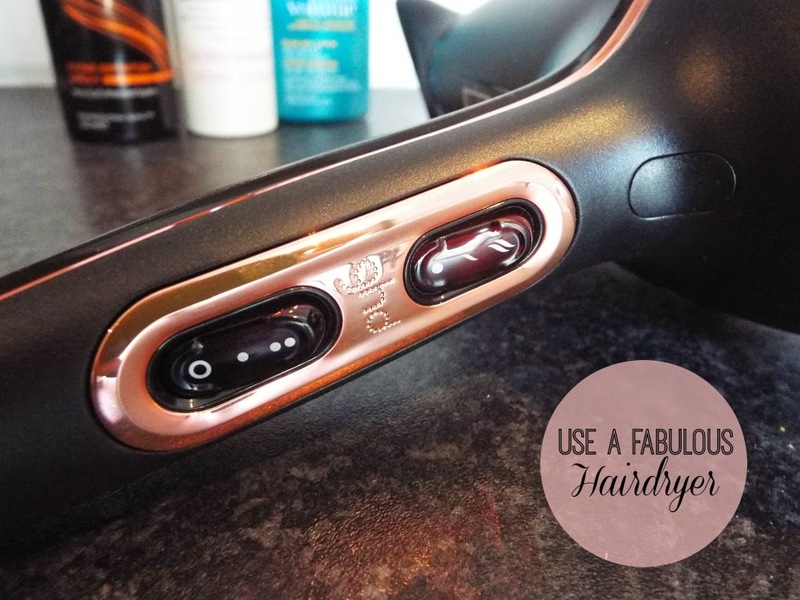 I use the glamorous GHD Air (£99.00)* Limited Edition Rose Gold which claims to give a professional salon finish in half the time. This is just perfect for girls always on the go, as this dryer boasts a super high pressure airflow for amazingly fast drying hair. The ionic technology helps to smooth the hair and reduce frizz and flyaways as well. I am really in love with this hairdryer, I honestly have to say I didn’t think that changing my hairdryer would make much difference, but it really does. The large nozzle gives a smooth direct airflow perfect for easy styling, even for a hair novice like me. Plus, it’s utterly stunning- the sleek black with flashes of rose gold adds a touch of glamour to 6am, I’ll say! Since I’ve been using this hairdryer, I haven’t had to straighten my hair as it styles just perfectly, in literally half the time. Lifesaver! When I jump out of the shower I towel dry my hair and spritz the roots with volume spray, my current favourite is the John Frieda Root Booster (£5.99). I lift sections of the hair, especially around the crown and spray the roots for the best results. 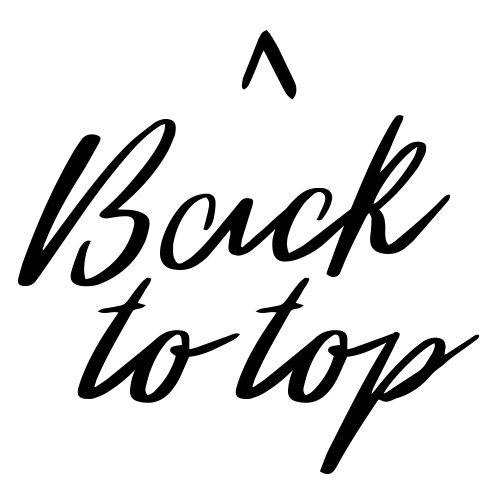 After application I comb my hair to ensure the product is spread evenly. After drying my hair I like to add texture to my layers with TRESemmé Texture Definition Spray (£5.75) which is so lightweight however manages to hold everything in place all day. I’m sure this isn’t the ‘professional’ way of adding volume to your hair, but at 6am I’m just looking for a quick result. The best advice I can give you is just start drying your hair upside down! I give my hair a blast all over with my hair upside down focusing on the roots for just 1-2 minutes, then turn my hair up the right way (doing a L’Oreal ‘Your Worth it’ flick in the mirror) and continue to dry my hair, using a brush to lift the roots and style. My only tip is don’t hold your head upside down for too long or you’ll end up looking like you are going to an 80’s fancy dress party. Trust me, I speak from experience! 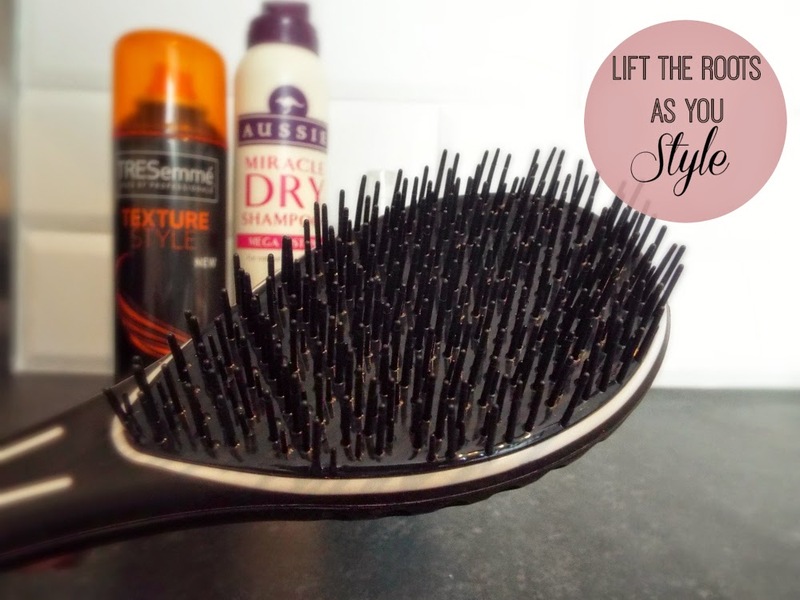 As I dry my hair, I lift sections with a brush and guide the air downwards, giving a sleek, shiny finish to the hair. 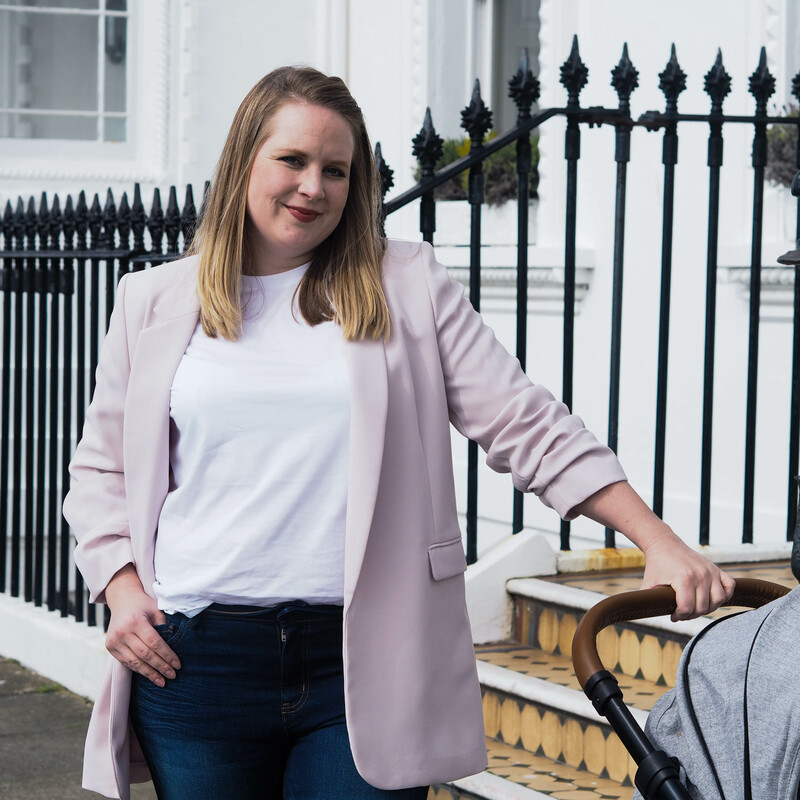 To get the best finish, it’s important to dry your hair in the direction of the strand to smooth down the hair follicles, blow drying against your hair will cause frizz so it’s best to avoid! 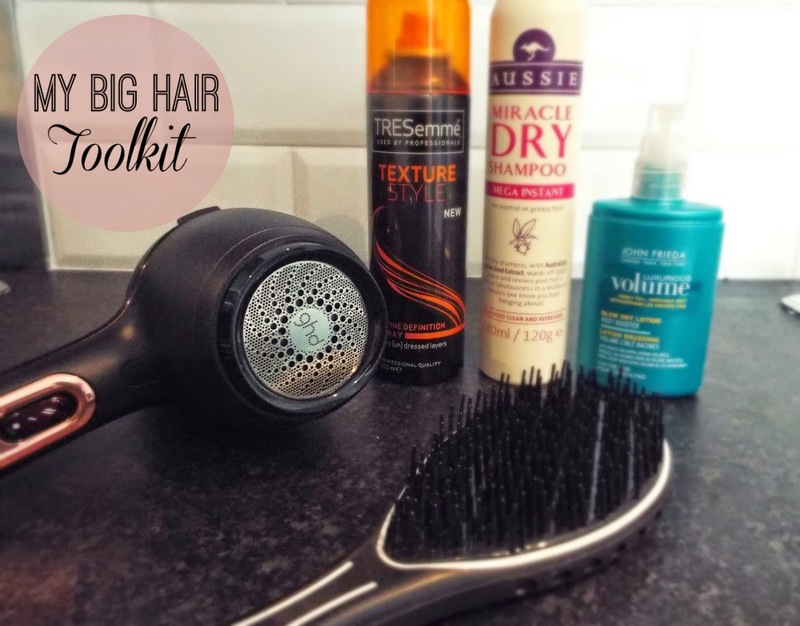 Lift the hair at the roots to give it a volume boost. My favourite brush at the moment is the AirMotion Pro (£11.95)*. This brush is lightweight for easy styling and has contour sensitive hair science to suit all hair types and style effortlessly. The Airmotion de-tangles the hair without breakages, smoothing and straightening as you style. Amazing. For days I don’t have time to wash my hair, I give my roots a quick boost with Dry Shampoo. Again, I turn my head upside down and spray over the roots. My current favourites are the Aussie Aussome Volume Dry Shampoo (£2.29)*, Lush No Drought Dry shampoo (£3.95) (although this is quite messy to apply) or the classic Batiste (£2.99) which comes in a range of pretty scents too! 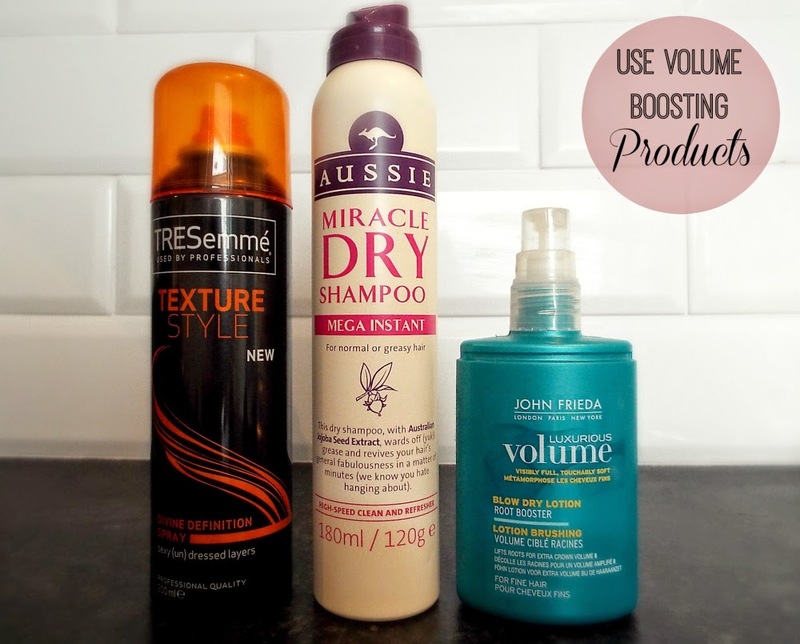 What are your top tips for adding a quick boost of volume to your hair?